In addition to the release earlier today of a new, theatrical poster for Marvel's anticipated sequel Captain America: The First Avenger, a pair of what seem to be international posters popped up online today, as well. One of them looks to be the same poster exactly, but with a different background coloring and Captain America not wearing his mask (similarly, a pair of Cap character posters were released yesterday that were basically the same photo with the mask on and then off). 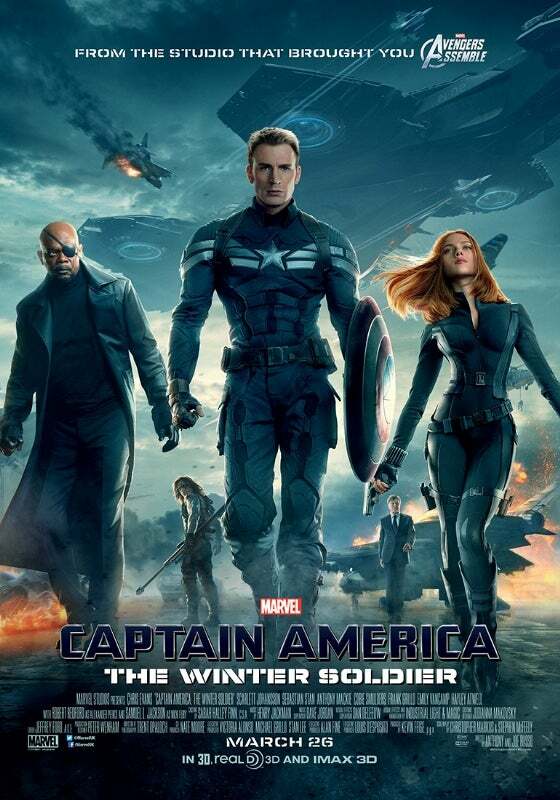 The other is clearly a poster for the international marketplace, where the first film didn't use the name "Captain America" in the title, presumably so as not to make it seem like a jingoistic, patriotic movie aimed at an audience who doesn't live in those countries. While many fans thought the international market might get over that after the success of The Avengers, Marvel seems to have decided to maintain continuous branding. Probably not a terrible idea, as Captain America was the lowest-grossing Marvel film since The Incredible Hulk in spite of really strong reviews. They may want to take every advantage they can get. 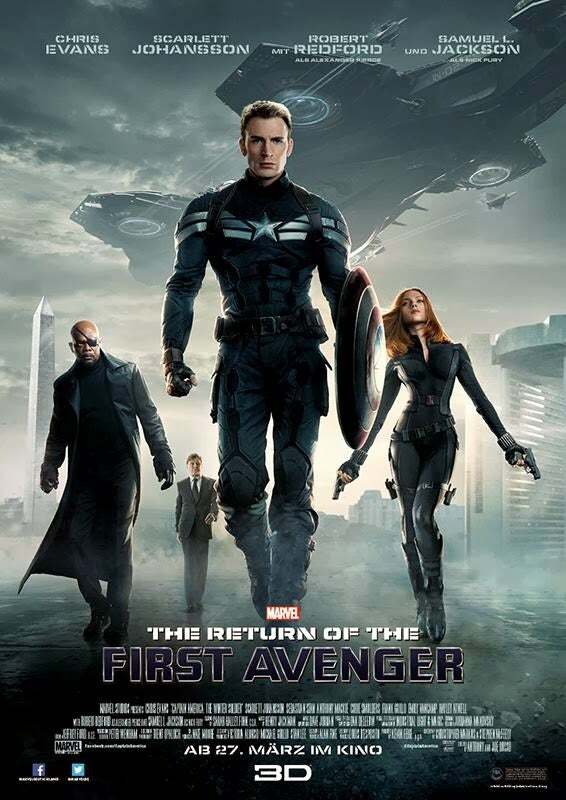 That poster, which refers to the film as The Return of the First Avenger, strangely also excises Sebastian Stan, who plays Bucky Barnes/The Winter Soldier, from the image. It may just be that, without "The Winter Soldier" in the title, they're trying to maintain an air of secrecy about the villain (or maintain the long-since-blown surprise that Robert Redford's Alexander Pierce is a villain). You can check out the posters above and below.